The mill at Tata has been built on the middle of the 18th century, among its first owners we find Jacob Fellner, famous master mason of the Esterházy family who must have changed some parts of the building. 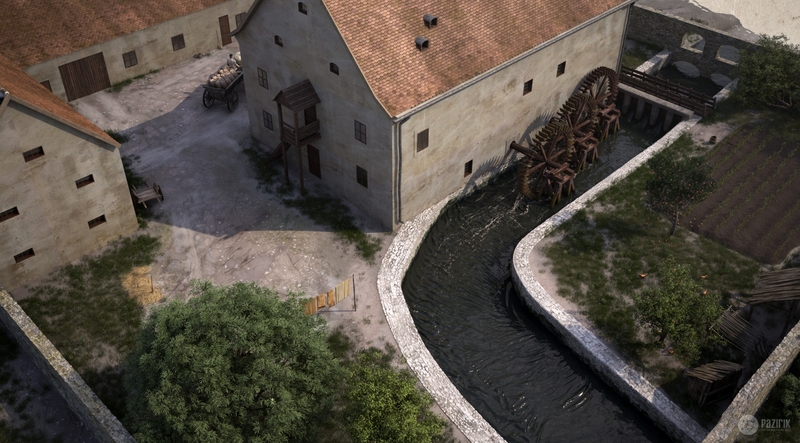 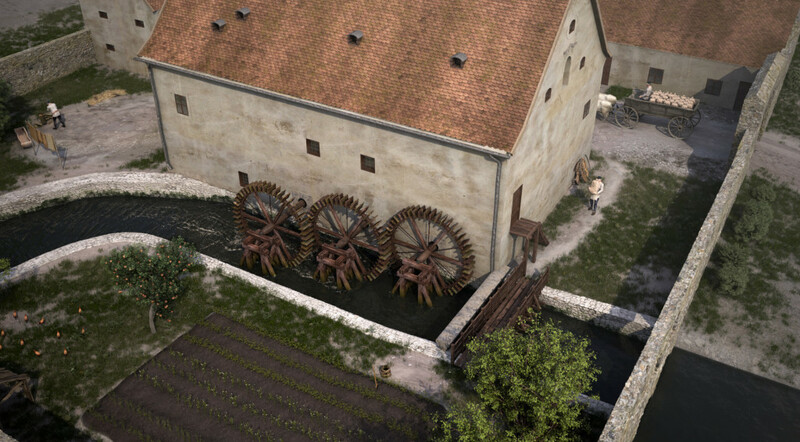 According to data from the period and clues found at the wall of the building near the bank of the mill canal we know that the mill operated with three wheels. 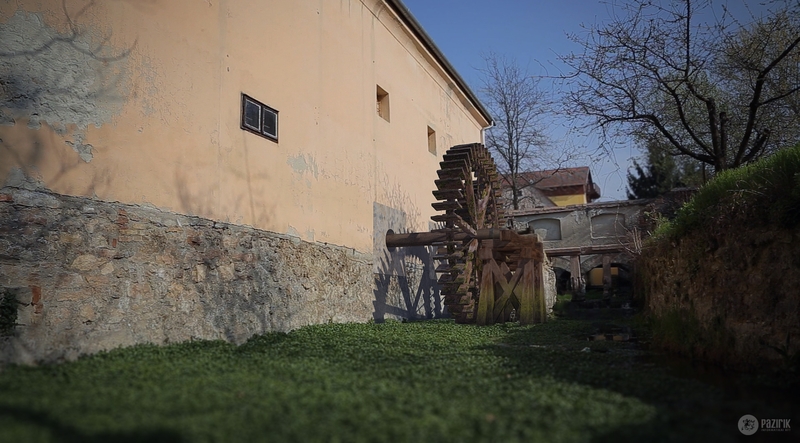 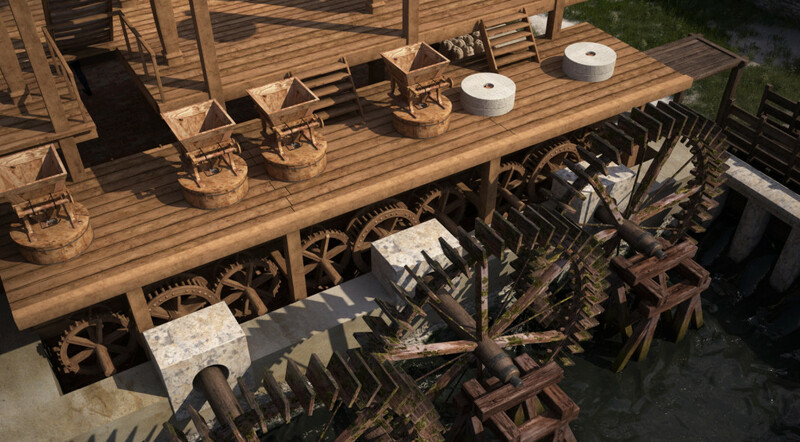 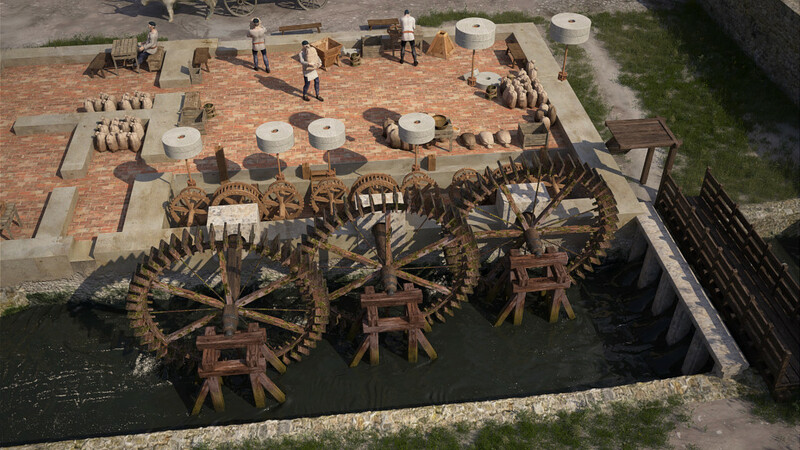 We know about the equipment used in the late 19th century and have data about the machines used after 1930, when the 3 waterwheels were exchanged for one large wheel that was more effective. 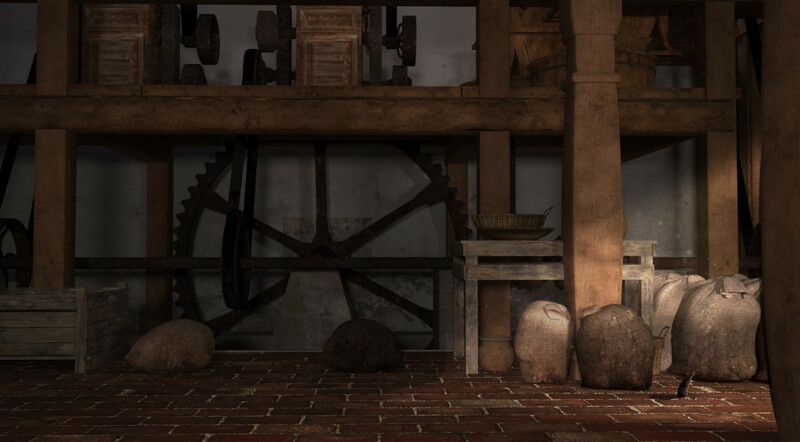 Its stump can still be seen extruding from the wall. The building – still standing nowadays – is now a museum, where our animated movie about its history can be viewed.